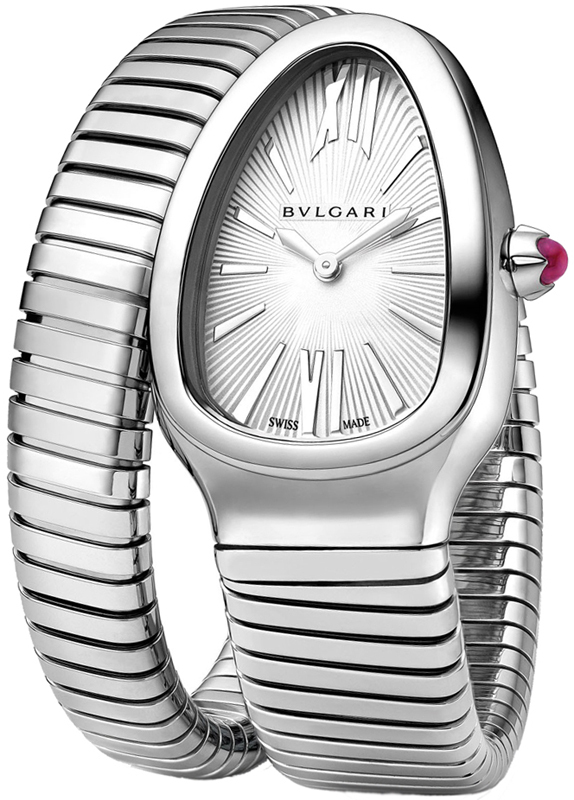 Constructed in the figure of a snake, the SERPENTI is one of BVLGARI's most famous icons. 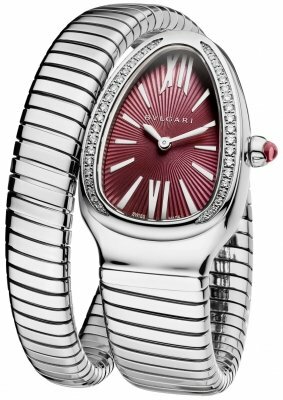 The head of the watch imitates the head of a snake & with the bracelet slowly tapering down imitating the body & tail of a snake. 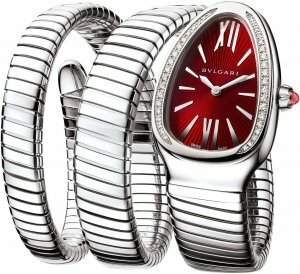 The bracelet is a comfortable wear due to the suppleness & flexibility of the bracelet. Pink sapphire cabochon set in the polished stainless steel crown. Polished flexible "Tubogas" style bracelet: single (1) twirl version. Silver dial with a fine sunburst texture finish.